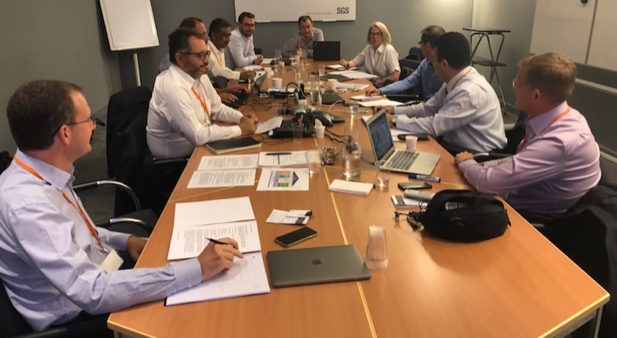 At the cessation of Q1, we are pleased to announce significant progress toward the realization of APSCA's 2019 strategic plan. March capitalized on the recent acceleration of the auditor certification program with APSCA’s new Certification Coordinator to continue enhancement of exam scheduling and coordination from mid-April. Part II of the CSCA exam is set to move toward the forefront of piloting ahead of a soft-launch early-June. 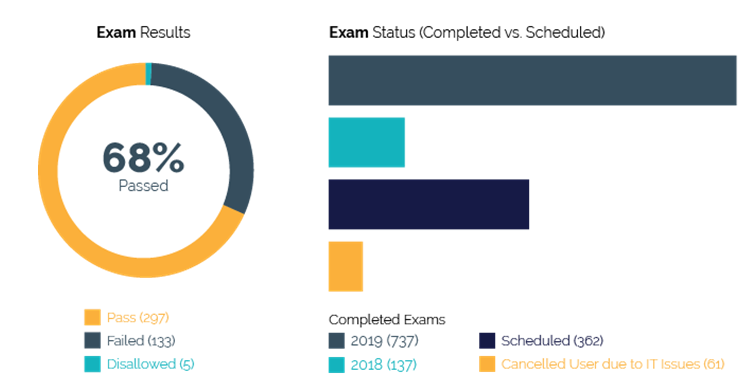 Participants have maintained a strong pass rate during Q1 with the rate of exam completion and scheduling increasing substantially. As APSCA continues to advance the auditor certification program the focus is shifting toward the soft-launch of Part II CSCA exam in early June. In anticipation, a number of tests are scheduled to commence during April. We look forward to sharing the learnings and feedback in the next Newsletter. APSCA’s Audit Firm Membership Application process has been formally released with details available via the link below. All applications should be sent to applications@theapsca.org. Auditor enrollments increased during the month, following updates to the auditor registry during February which resulted in the attribution of an 'inactive status' for approximately 170 auditors. Our monthly newsletter now reaches over 1,800 subscribers each month! We encourage our Member Firms to have their auditors subscribe to APSCA's newsletter to stay up to date here. Further, if you have a friend or colleague that may be interested in APSCA please share this newsletter with them via the link below. February realized strong progress in APSCA's 2019 Strategic Plan with the auditor certification program buoyed by the successful piloting of Part 1 of the CSCA examination in Simplified Chinese and Spanish. Growing demand for the certification program has supported the offering a new Certification Coordinator's position while we celebrate the achievements and contribution of our retiring Director of Systems Management and APSCA Founding Member / Executive Board Secretary. During January, APSCA hosted a Language Soft Launch Exam, piloting Part 1 Multiple Choice examination questions in simplified Chinese and Spanish. 49 auditors from 30 firms, participated in the pilot with an overall pass rate of 84%. In addition, the pilot provided further opportunity to optimize the examination process as we prepare for the launch of the CSCA Exam Part 1 (simplified Chinese and Spanish) by Q1 end. In consultation with ProctorU (our exam service provider), our leadership team have compiled feedback from participating auditors and audit firms to identify means of enhancing examination efficacy and participant experience. Separately results of the examination have provided initial insight into auditor strengths and development opportunities. The following have been noted as the average top 5 areas of opportunity and strength. ​Areas of opportunity should form the focus of professional development for auditors and audit firms. For more information regarding these areas, please refer to APSCA's Competency Framework. APSCA’s Audit Firm Membership Application process has been formally released with details available via the link here. It is with great disappointment, we share news of Julie Shaw's retirement. Since September 2016, Julie has been a driving force in APSCA's growth and development. As Director of Systems Management, Julie has established critical processes which underpin the integrity of the Association's function. During her tenure, Julie notably enrolled over 3000 auditors and onboarded 32 audit firms reinforcing a substantial foundation for sustained membership growth. On behalf of our members we extend our sincere thanks to Julie for her significant contribution to APSCA's mission. APSCA's President & CEO, Rona Starr commenting "On behalf of the Executive Board, I extend our tremendous gratitude to Julie for her efforts over the past 2.5 years. APSCA's development is testimony to Julie's commitment, foresight and attention to detail. I wish her the best as she enjoys retirement with her husband." During February, auditor enrollments continued to increase with net growth offset by the attribution of an 'inactive status' for approximately 170 auditors. The status of enrolled auditors is regularly updated to maintain the currency of APSCA's auditor registry. An auditor may be assigned an 'inactive' status where the auditor has become dissociated from an Audit Firm and or fails to respond to communications regarding continuing membership. The recent revision of auditor status' serves as a timely reminder - Member Auditor accounts are recorded independent of Member Firms. As such, an individual auditors account details, and membership number stays with them wherever they work. Account changes will only be accepted through notification from the Auditor. Auditors should email the APSCA Data Administrator at data.administrator@theapsca.org, with any requested changes. It is also good practice to share an alternate (personal) email address to be maintained on the Auditors profile. Firms are encouraged to incorporate confirmation of ASPCA Auditor Membership during their onboarding processes on new auditors to facilitate Auditor being linked with applicable Member Firms. Firms should also develop an off-boarding process to ensure detachment with the APSCA database as required. Member Firms should notify the Data Administrator of any changes to member connections via data.administrator@theapsca.org. Our President & CEO, Rona Starr was honored to present at the recent WFSGI (Worldwide Federation of Sporting Goods Industry) Corporate Responsibility Working Group and General Assembly. The event provided an opportunity to share APSCA’s progress and plans for 2019 and beyond. Engagement from the 100+ attendees was positive with interest from both social compliance audit providers and consumers alike. WFSGI is the world authoritative body for the sports industry officially recognized by the International Olympic Committee (IOC) as the industry representative within the Olympic Family. WFSGI are a valuable member of APSCA's supporting stakeholder network having committed their support via APSCA's Support Statement and further encouraged the execution of their social compliance audits by APSCA Member Firms. Looking to join a dynamic and growing group? Explore the latest job opportunity with APSCA as Certification Coordinator. To learn more about this role and apply, visit here. Our monthly newsletter now reaches over 1,700 subscribers each month! We encourage our Member Firms to have their auditors subscribe to APSCA's newsletter to stay up to date here. Further, if you have a friend or colleague that may be interested in APSCA please share this newsletter with them via the link below. Happy New Year! Following a celebration of our 2018 successes, APSCA have launched 2019 with an unwavering focus toward realization of our mission - to enhance the professionalism, consistency and credibility of individual auditors and organizations performing independent social compliance audits. During January, we continued to increase the accessibility of our CSCA examination platform as a means to establish industry credibility and position our Members as the trusted professionals of Social Compliance Auditing. This was achieved through piloting of the CSCA Examination (Part I) in simplified Chinese and Spanish. In combination with the English CSCA examination format, this is expected to service up to 80% of our currently enrolled auditor base and further augment the rate of auditor certification. Additional to the growth and development of APSCA as your industry body, we are committed to increasing awareness of social compliance audits and further promoting the services offered by our Members. To that end, APSCA will continue industry representation at a number of key events and conferences worldwide. We look forward to continuing to share our progress with you throughout the year. January 23 - 25 - APSCA hosted a Language Soft Launch Exam, piloting Part 1 Multiple Choice examination questions in simplified Chinese and Spanish. The pilot included over 45 auditors across 30 firms during the three-day period. Piloting the CSCA Exam Part 1 in both languages will help us prepare in advance of offering the exam in simplified Chinese/Spanish set to launch end Q1. Our monthly newsletter now reaches over 1,600 subscribers each month! We encourage our Member Firms to have their auditors subscribe to APSCA's newsletter to stay up to date here. Further, if you have a friend or colleague that may be interested in APSCA please share this newsletter with them via the link below. During December we held our 2018 Annual General Meeting for resolution of Board nominations and operational review. The event provided an opportunity to extend thanks and appreciation to our Executive and Stakeholder Boards for their leadership and guidance through 2018; a year marked by unprecedented growth and development. Further, the Board would like to thank our Members for their continuing support and dedication to the realization of APSCA's mission. We are confident in your carriage of our vision for 2019 and look forward to supporting your work through enhancement of the professionalism, consistency and credibility of the independent social compliance audit industry. APSCA’s 2018 Annual General Meeting (AGM) was held in Hong Kong on 4 December with over 140 in attendance. The event reflected on achievements across the 3 pillars of Validation, Governance and Processes and Systems. Read the address from APSCA'a President & CEO, Rona Starr here. Special thanks were extended to Pierre-Yves Dupont, Kevin Franklin, Antonio Astone and Wesley Wilson, for their great contributions to the development and growth of the Association. APSCA Executive \ Stakeholder Boards From Left Back Row: Rajan Kamalanathan, Richard Ingrao, Antonio Astone, Christian Ewert, Dan Murray, Christophe Liebon, Randy Rankin, Frank Dorssers, Jonathan Ivelaw-Chapman. From Left Front Row: Rochelle Zaid, Avedis Seferian, Effie Marinos, Jan Saumweber, Pierre-Yves Dupont, Greg Gardner, Rona Starr. Absent from photo: Darrell Doren, Fred Waelter, Laura Chapman Rubbo, Bernardo Cruza, Elizabeth Borrelli, Wesley Wilson. The substantial increase in auditor enrollments during the year has further reinforced APSCA’s position as the independent social auditing industry association. Now exceeding 3200, APSCA’s Member Auditor base embodies a geographically and ethnically diverse population. APSCA President & CEO commented: "Respective of market demand, industry commitment has escalated since ASPCA’s formation. The augmentation of auditor enrolments is considered a direct reflection of this response; increasing by some 200% since April 2018 to reach over 3,200 fully enrolled auditors as at the end of December 2018 from over 40 Audit Firm Members. Further, our auditor base spans across more than 93 countries with more than 45 different languages confirming such commitment is widespread and demanding of APSCA’s international presence." held a Pre-Launch 3-4 October 2018 and a Soft Launch 12-24 November 2018. 119 Auditors from 39 of our Member Firms participated in these events which reflected a major milestone in our strategic plan. The launch saw a 71% pass rate with 22 participants unable to complete the examination due to IT or poor internet issues. Discover the development of the CSCA Exam from pilot to launch! Our monthly newsletter now reaches over 1,500 subscribers each month! We encourage our Member Firms to have their auditors subscribe to APSCA's newsletter to stay up to date here. Further, if you have a friend or colleague that may be interested in APSCA please share this newsletter with them via the link below. APSCA’s new Firm Membership Application process has been formally released and details can be found on our website. ​All applications should be sent to applications@theapsca.org. Seasons Greetings from the APSCA Team! During November, the CSCA Exam (Part 1) Soft Launch reflected the culmination of an extensive development and piloting program. The exam is considered a significant milestone in the realization of our mission and will reinforce competencies considered critical to the function of a Social Compliance Auditor. We are also excited to introduce Kelly-Jo Potts as our Member Services Manager. As our Member base continues to grow, Kelly-Jo's diverse industry experience will further strengthen delivery of APSCA's services in support of our Auditors and Audit Firms. During our upcoming AGM we look forward to reflecting on a positive year and sharing with you, our vision for 2019 and beyond: "Building credibility, promoting trust"
The Member Firm Application process was released to those firms who have previously contacted APSCA enquiring about membership at the end of October. Details, including the Application Form and costs, will be posted on our website after our Annual General Meeting in December. The CSCA examination is recognized as a critical means to enhance the credibility of our Member Auditors. The examination has been in development for some 12-months with recent optimization through piloting. During November we held the first scaled launch; 103 Auditors from 39 of our Member Firms participated in the event with 87 successfully completing the exam. The full launch is scheduled to begin 17 December 2018 and many of our Member Auditors already scheduling their on-line exam. APSCA would like to announce that Kelly-Jo Potts has joined the APSCA Team as the Member Services Manager. Kelly-Jo Potts is a corporate social responsibility (CSR)/social compliance and marketing professional who has worked with businesses, service providers, and stakeholders to drive safer and improved working conditions for supply chain workers, globally. With over 9 years in a variety of CSR and marketing roles in London and Los Angeles, Kelly-Jo understands the challenges and opportunities in social compliance. Prior to joining APSCA, she spent the last couple of years engaging independently with various organizations including helping manage and support social compliance, worker well-being, and sustainability related projects for clients, some of which include, the Social & Labor Convergence Project, The Economist Intelligence Unit, MANAUS Consulting, and Fortune 500 companies. Kelly-Jo is fluent in Spanish and English and holds a BA in political science with a minor in Spanish from Saint Mary's College of Moraga, California.Kelly-Jo will manage activities associated with the onboarding of new members (Firms and Auditors) and CSCA exam enrollments. APSCA will be hosting our 2018 Annual General Meeting on 4 December in Hong Kong – we are excited to have more than 125 registered participants. We would welcome all interested parties to hear of our 2018 successes and plans for 2019 and beyond. Participation by Members (Firms and Auditors) is voluntary and is open to all interested parties. From Left: Avedis Seferian (WRAP President & CEO and APSCA Executive Board Chair), Betty Kluchinsky (The Walt Disney Company), Brian Kramer (PepsiCo), Christian Ewert (amfori\BSCI). From Left: Rachelle Jackson (Arche Advisors), Ross Nova (LL Bean), Kenneth Kennedy (Homeland Security Investigations Forced Labor Program). During October we were pleased by the successful completion of our CSCA Examination Pilot. Key learnings will support optimization of the examination process and further inform a soft-launch scheduled for mid-November. Respective of market demand, industry commitment has escalated since APSCA's formation. The augmentation of auditor enrollments is considered a direct reflection of this response; increasing by some 235% since April 2018 to reach over 3,000 fully enrolled auditors during October. 2018 has delivered key outcomes across our strategic initiatives, and as we move into Q4, we are well positioned to realize the broad suite of objectives across our validation, governance, and processes & system pillars. Auditor enrollments exceeded 3,000 during October reflecting a growth of some 235% since April 2018. Our monthly newsletter now reaches over 1,400 subscribers each month! We encourage our Member Firms to have their auditor’s subscribe to APSCA's newsletter to stay up to date here. We are pleased to announce details of our 2018 Annual General Meeting. Participation by Members (Firms and Auditors) and applicants is voluntary. If you haven’t registered to participate at the Annual General Meeting please do so below by 15 November 2018. APSCA has been working for the last few months on enhancing the application process for audit firms wishing to join APSCA and are now in the final stages of the re-launch. This updated application process will be launched in the next couple of days to those audit firms who have previously applied. We will launch this via our website for others commencing early December. This updated approval process will foster industry credibility and position our Members and CSCA’s as the trusted professionals of Social Compliance Auditing. We understand this took a little bit longer than initially anticipated and appreciate your patience. Audit firms will receive an email from us in the next couple of days laying out the process. APSCA’s website will be updated in time for the wider launch early December. Join us at Intertek's upcoming Ethical Sourcing Forum event on November 6th, 2018 in New York City. APSCA would like to farewell and wish all the best to our intern Emma Youngman. Emma has been working closely with our CEO and Director on many projects over the last couple of months. She has been helping with our monthly newsletters, configuring statistics for the upcoming AGM and assisting in the process of uploading the new exam. Emma is studying a Bachelor of Global Studies, which requires her to undertake an internship where she can observe and experience the processes of globalization in the workplace. She has a great passion for human rights and upon graduating wishes to work in the humanitarian sector. APSCA is expanding and looking for a talented person who shares our purpose of enhancing the professionalism and credibility of the social compliance industry. You would be working full-time with a dynamic group, from anywhere in the world, reporting to the Director Systems Management. Interested? If so, please see more details to apply here. During August, auditor enrolments increased by over 15% with 2,740+ auditors fully enrolled. With APSCA Membership engendering an obligation to enhance audit credibility, Member Auditors are encouraged to use and share their auditor number with clients as a reflection of such commitment. Further, Member Firms are urged to continue enrolling eligible auditors with some 120 applicants having just commenced enrolment in the past seven days. Additional to the augmentation of auditor enrolments, awareness of APSCA’s mission continues to grow. Our newsletter now reaches over 1000 subscribers worldwide; reflecting a 400% increase in readership since 2016. If you have a friend or colleague that may be interested in APSCA, please share this newsletter with them via the link below. APSCA have over 2740 Auditors who are fully enrolled. We are excited about the continued growth and encourage Member Firms to enrol your social compliance auditors, it is never too late. APSCA is targeting the release of an online process to validate Member Auditor enrolment with APSCA in the coming weeks. This will allow public validation of an Auditor’s level, membership standing and enrolment status by inputting both the Auditor’s surname and APSCA Member number. This forms a notable resource for audit clientele and will further foster confidence in the credibility of our growing industry. Our newsletter is coming up to its two-year anniversary! Our readership has grown fivefold, starting with approx 200 subscribers back in 2016 and has reached the 1000 mark during August. 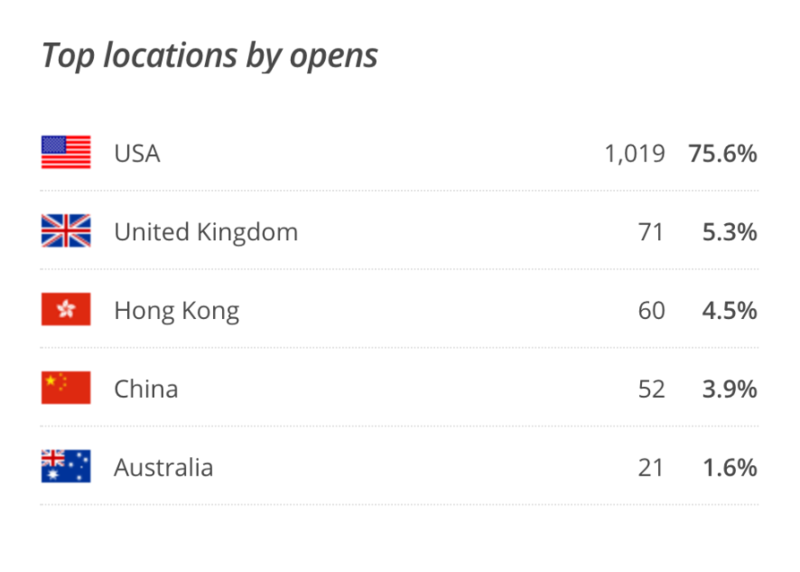 We gained over 70 new subscribers this month alone creating a globally vast audience, with the USA, United Kingdom and Hong Kong being our most significant readership locations. ​We ask our Member Firms to continue encouraging your audit firm personnel to subscribe to APSCAs newsletter to stay up to date with our ongoing progress. Further, if you have a friend or colleague that may be interested in APSCA, please share this newsletter with them. Help them stay in the loop as we provide important APSCA updates, outcomes and future events in this newsletter. The Annual General Meeting (AGM) will be held in Hong Kong on the 4th of December 2018. 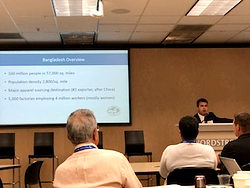 Avedis Seferian (WRAP President & CEO and APSCA Executive Board Chair) provides an update regarding Bangladesh at the American Apparel & Footwear Association (AAFA) Social Responsibility Committee Summer 2018 Meeting. Avedis’ presentation looked at the current, fast-paced changes happening within Bangladesh and what to expect moving forward. ​Rona Starr (CEO and President of APSCA) also presented at the meeting, discussing internal activities within APSCA. With the current standing of over 2740 Auditor Members, spanning 62 countries and 11 languages, Rona outlined the ongoing Auditor enrolment process and spoke about the intended launch of Part I of the exam which will lead towards auditor certiifcation later this year as well as other activities for 2018 and beyond. This led to a further group discussion about their expectations of APSCA and what they are looking to see in the future. As a reminder - Member Auditor accounts are recorded independent of a Member Firms. As such, an individual auditors account details, and membership number stays with them wherever they work. APSCA Membership engenders a commitment to continuously enhance the professionalism and credibility of the social compliance industry in accordance with the principles of our Code of Professional Conduct. Respective of this commitment, APSCA have been focused on the development of an application process which will reinforce the values and professional integrity to which all APSCA Members have been endorsed and will continue to be held accountable. The pilot application process is in the final stages of completion and results of the pilot will be shared with the Executive Board at the upcoming meeting. It is anticipated that the new process will be launched towards the end of September. and APSCA will notify potential applicants in a few weeks with more information. Increasing auditor enrolments during July provided exciting insight into the diversity of APSCA’s Membership, representing 62 different countries and 48 different languages. The significance of this reach and potential accessibility reflects a substantial opportunity to contribute to the improvement of workplace conditions throughout global supply chains. 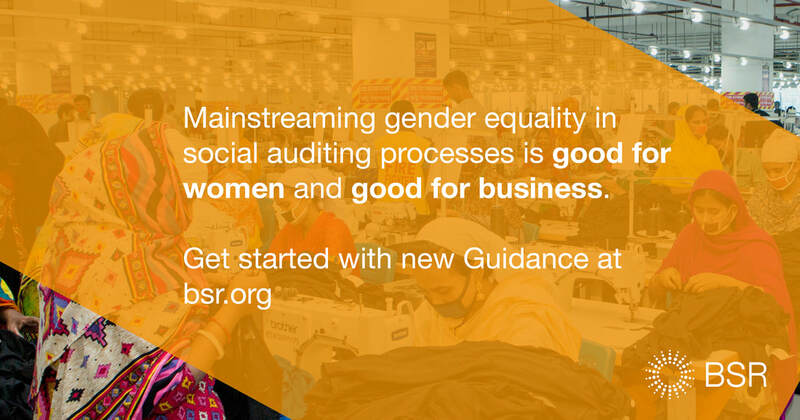 It is encouraging of our mission; to increase the value and effectiveness of independent social compliance audits by enhancing the professionalism, consistency and credibility of individuals and organisations performing them. During July, Auditor enrolments increased substantially with over 2,600 Auditors now fully enrolled. APSCA have also developed an online facility for the validation of Member Auditor credentials. The facility will be available via our website and is scheduled for release by Q4, 2018. This facility will allow public validation of an Auditor’s Level, Membership Number and Status and Identity (via a photograph) by input of the Auditor’s surname and APSCA Membership Number. It will not provide a list of APSCA Member Auditors but allows the validation of individual Auditors. The online facility will form a notable resource for audit clientele and will further foster confidence in the credibility of our growing industry. Of the 2,600+ Auditors who have completed their online enrolment, 75% are ready to start the CSCA exam process and have been assigned the ‘Registered’ auditor level. These auditors are located in 62 different countries with advanced written language competency across 48 different languages. As we prepare to start the written exams, we have identified that 95% of the auditors are covered by 11 languages with the remaining 5% representing 37 different languages. Ten languages were notably represented by a single auditor. We are currently finalising the exam format and are completing a workplace assessment of the organisation identified to facilitate the exam process. The CSCA exam is on track for launch during Q4, 2018. Auditor accounts and related Memberships are recorded independent of Member Firms. As such, an individual auditor's account details and membership number stays with them wherever they work. Apart from adding or removing connection to a firm, account changes will only be accepted by notification from the Auditor. To this end, Auditors are reminded to keep their account details up-to-date with any changes to be emailed to the APSCA Data Administrator at data.administrator@theapsca.org. It is recommended, Auditors provide an alternate (personal) email address in their profile by emailing data.administrator@theapsca.org if they have not already done so. Firms are encouraged to incorporate confirmation of ASPCA Auditor Membership during their onboarding processes to facilitate Auditor linking. Equivalently, firms should also develop an offboarding process to ensure severance of connections within the APSCA database as required. Member Firms should notify the Data Administrator of any changes to member connections via data.administrator@theapsca.org. The APSCA My Auditors App has been released providing Member Firms with the ability to view their Auditors’ information and assigned auditor level. Member Firms are now requesting, if required, auditor level re-assessments via the APSCA review of auditor logs. This is in preparation for the CSCA exam which is expected for launch in Q4, 2018. A pilot application process is under evaluation with a further update to be provided in the August Newsletter. CSR Asia, an ELEVATE company, hosts CSR Asia Summit in Hong Kong this September. 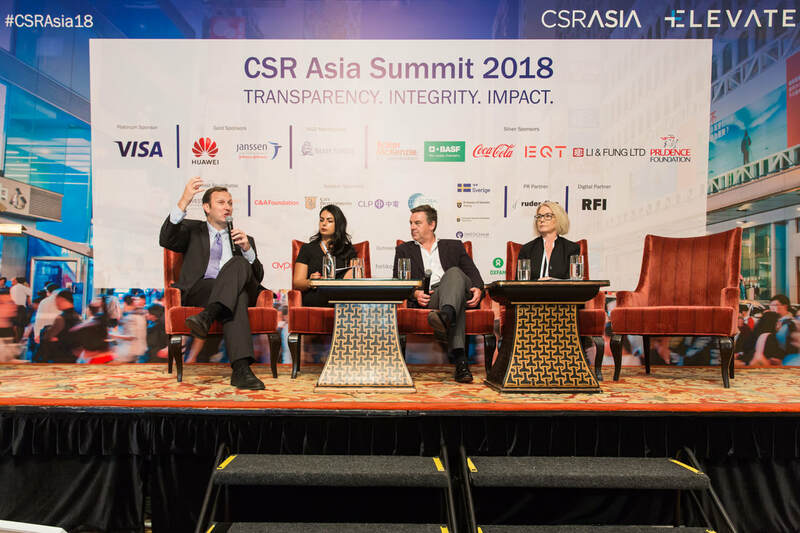 For the 12th year running, CSR Asia Summit is Asia’s leading event for bringing together key stakeholders to share knowledge and best practice in sustainability. This year's programme explores how transparency, integrity and impact can be applied across sustainability initiatives within business, communities and supply chains to enable growth and drive performance. The Summit is expected to attract 500 delegates from 30 countries. In 2018, we are including a full track across the two-day Summit to address the responsible sourcing and supply chain management expertise of The ELEVATE Leadership Series – Hong Kong. Our President and CEO Rona Starr joins ELEVATE CEO Ian Spaulding for a key supply chain session, Global Trends in Responsible Sourcing 2018. In addition, APSCA Executive Board member and ELEVATE SVP, Dr. Kevin Franklin, will conduct responsible sourcing introductory training during pre-Summit training sessions on 17 September. Register soon – the early bird discount ends on 26 July!